Philadelphia: John C. Winston Co., 1948. Book. Very Good +. Textured Boards. Later Printing.. 32 unpaginated pages. Pastedown illustration on re front board showing two miners with a canary. Signed by both authors on front endpaper, which has slight yellowing along edges. Text clean. Color illustrations on most pages. Light bumping of corners. Part of a series introducing elementary-grade pupils to various industries. Grades 3-4 reading level, approximately. Size: 8mo -- 7.5 In Tall By 7.5 In Wide. Philadelphia: John C. Winston Co. Book. Very Good +. Boards. By Authors. 32 unpaginated in blue boards, with pictorial pastedown on front cover, showing shepherd boy guarding sheep at night. Slight edgewear. Signed by both authors on endpaper. Bright multi-color illustrations on most pages. Text approx at reading level for grades 3-5. Story about sheep and woolen industy from ancient times until today. Size: 8mo -- 7.75 in Tall By 7.75 in Wide. New York: Robert M. McBride & Co., 1929. Book. Illus. by Fouse, Dorothea. Good +. Cloth. Inscribed by Author(s). First Edition.. 107 pp. Light soil to orange cloth, four drops of paint or ink along bottom edge of rear board. A few black dots along edges. Text clean. Lengthy inscription by author to a child Josephine Rosenfield (later to become an editor and co-publisher of the Daytona Beach News-Journal.) A collection of simple rhymes for young children, each accompanied by a line drawing of children or pets. Front board has a line drawing of a young boy lying on his stomach, reading a book. Numerous cartoon sketches on end papers. Size: 8vo -- 8.75 in Tall. NY: Grosset & Dunlap, 1967. Book. Illus. by Beckett, Sheilah. Very Good. Cloth. Reprint.. 247 pp. Several full-page line drawings. Green cloth with brown front board filled with a colored sketch of mythological characters set against a green wooded tangle of briars. Anthology of six Greek myths retold for children (approx grades 4-5 reading level.) Contents include: the Minotaur; The Pygmies; The Dragon's Teeth; Circe's Palace; The Pomegranate Seeds and The Golden Fleece. Reprint of book that Hawthorne first published in 1952. Part of the Companion Library series. Light toning of endpapers. Half-inch rubbed spot on rear corner of spine. Some soil to rear board. Text clean. Size: 8mo -- 7.5 In Tall. By Marcatante, John J., Ed. NY: Globe Book Co., 1980. Textbook. Illus. by Shipman, Robert. Very Good +. Trade Paperback. 306 pp. Rust-colored stiff wraps with large flag design, also totem pole, sailing ship, covered wagon, coonskin hat. Black marker numbers on bottom edge and half title page. School property stamping. Text clean. No spine creases. Middle-school reader, an anthology of 30 folk tales from various American regions. Each chapter has vocabulary guides. Rear section includes Q&A questions to test mastery of the material. Editor was chairman of the English dept. of the NYC public school system. Size: 8mo-- 8.25 in. Garden City , N.Y: Alfred A. Knopf, 2007. Book. Very Good +. Trade Paperback. Third Printing.. 933 pp. A bit thumbed, but still square and firm binding. Text clean. 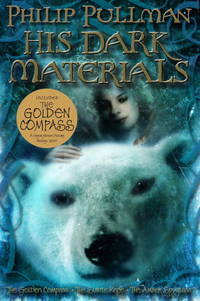 A trilogy containing Book I, the Golden Compass; Book II, the Subtle Knife, and Book III, the Amber Spyglass. Includes brief commentary by Pullman on each book. Size: 8vo -- 9 in Tall. Chicago: John C. Winston Co., 1948. Book. Very Good. Leatherette-like Cloth. Signed by Authors. First Edition.. About 34 unpaginated pages. Color illustratiions on most pages.Signed by both Petershams on front endpaper which is lightly foxed. Maroon cloth with pastedown illustration on front cover, showing a prehistoric boy discovering a bubbling pool of oil. Text clean, corners lightly bumped. Size: 12mo -- 7.75 in Tall By 7.5 In Wide. Textbook. Fair. Faux Leather Cloth. 219 pp. on coated stock. Heavy rubbing on corners of light green boards. Spine faded and rubbed. Dozens of small cartoon like sketches embossed into cover. First few pages loose and defaced with pencil scribbles. Most of text clean. Title and copyright pages missing, but this appears to be an F.A. Owens reader from the early 1940s. Scores of articles, poems and short stories for children in the 4 to 10 age bracket. Numerous two-color illustrations. Size: Folio -- 12 in Tall. Scholastic Book Services, 1972. Book. Illus. by Keats, Ezra Jack. Fair. Trade Paperback. 7th Printing.. 32 pp.browned, 1 inch chip near top right corner of cover, some corner creases. 1-inch tear along bottom of spine. 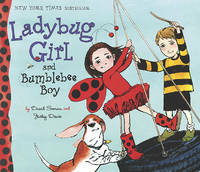 A reprint of a McGraw-Hill edition, adapted for the Lucky Book Club. Youngsters are given examples of how Native Americans survived centuries ago, and how their techniques continue in modern technology. Suggestions given for trying out the technologies. Size: 8vo -- 9 in Tall By 7.5 In Wide. Philadelphia: Henry Altemus Co., 1902. Book. Illus. by Birch, Reginald B.. Fair. Cloth. Later Printing.. 236 pp. Half of spine cloth missing, hole in spine flap exposing a bit of textblock.Dark red front board shows a small dog standing on hind legs on a snare drum. Corners bumped. Title page and frontispiece are detached but laid in as are three of the illustration pages. Text clean. Adventurous tale of a performing dog who gets stolen by a pair of Gypsies. Written in simple English suitable for youngsters in the 8-12 range. Size: 8vo -- 7.5 In Tall. NY: Macmillan Co., 1928. Book. Good +. Boards. Reprint.. Off-white boards clean but corners and spine edges bumped. Jacket torn at edges and split in two, but both halves present. Text block split in half, but binding still fairly firm. Decorative endpapers, faint foxing on some pages, no markings in text. Full-page drawings of various dolls in British museums, along with easy-to-read descriptions for children in the 5-to-10 age range. Size: 4to -- 11.25 in Tall. NY: Farrar & Rinehart, 1930. Book. Illus. by Lederer, Charlotte. Good. Cloth. First Edition.. 306 pp. on heavy stock. 6 full page color illustrations; numerous small b&w woodcut-type illustrations. Spine sunned. Blue and silver foil medallion on front board. Vivid multi-colored design on front and rear endpapers; ink gift inscription on half-title page. Some pages of text have faint water spots along bottom margin. Spine edges and corner rubbed A collection of children's folktales, mostly with Muslim characters set in Hungary; a few with Christian references. Some plots are violent, more suitable for the young adult age bracket. A 1930 original, not a facsimile. Size: 4to --9.75 in Tall. U.S.A.: Harper Trophy, 1978. Book. Illus. by Sendak, Maurice. Good +. Trade Papeback. Reprint.. 63 pp. Some dampstaining, including minor tan discoloration on rear cover, tanning spotting near bottom joint of pp 56-64, and light pinkish bleeding in upper right corners pp.1-34. 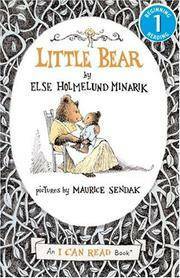 Overall, however, the text and Sendak's charming pastel illustrations of Little Bear and his mama bear appear clean. Vocabulary suitable for K thru grade 2. Adventure-seeking Little Bear tries to fly to the moon but falls from a tree to the ground, and ends up going home for lunch and taking a nap. Size: 8vo --8 in Tall. Des Moines, Iowa: Meredith Publishing, 1952. Book. Very Good. Cloth. 176 pp. Light soil to bottom edge. Text clean, fairly bright, no markings. Plastic cover has tears. Orange cloth front is decorated with 6 storybook characters. A collection of 19 well-known stories, fables and poems, mostly from European literature, including 5 Aesop fables. Color illustrations throughout, including more than 20 for the first tale -- The Pied Piper of Hamelin. Size: 4to -- 10.25 in..
Chicago: John C. Winston Co., 1947. Book. Very Good +. Boards. Signed by Authors. Unpaginated about 30 pp. Signed separately by both authors in ink script on front end paper. Light foxing on same endpaper. No other markings. Color drawings on nearly every page. Part of the Petersham's Story Book series. Size: 7.75 in Tall By 7.75 in Wide -- Square Format. Chicago: John C. Winston Co., 1948. Book. Very Good +. Boards. By Authors. Firsrt Edition.. Unpaginated, about 30 pp. Color illustrations on most pages. Signed separately by both authors on endpaper. Slight wear on spine, faint foxing on endpapers. Text clean, binding firm. Part of the "Story Book" series. Easy to read history of iron and steel production (as of the postwar peak of US steel industry.). Size: 8vo-- 7.75 in Square. NY: Frederick A. Stokes Co., 1921. Book. Illus. by Jacobs, Helen M. And Lee, G.E.. Very Good. Cloth. Later Printing.. 151 pp. Tan cloth with color illustration of bear and tree pasted to front cover. Minor rubbing along bottom edge. 8 full page color illustrations, including frontispiece. One, opposite p. 40 is detached but laid in. Translated by A. Teixeira Mattos. Collection of 9 nature stories for children; suitable for readers in the 8-12 age range. 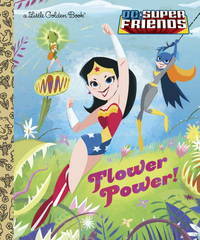 They include tales of talking trees and flowers and animals. Size: 8vo -- 8.5 In..